Increasing income divide, creeping environmental pollution, unsolvable waste issues, childcare waiting lists being discussed without those concerned, repeated corruption… The government, smeared by vested interests, can’t do a thing against the many problems and sources of discontent. It’s in this situation, with Japan cornered with no way out, that idols rise up to save the day! The Heroine Party, Sunlight Party, Starlight Party, Bishoujo Party, Wakaba Party, Subculture New Party, and SOS Party. 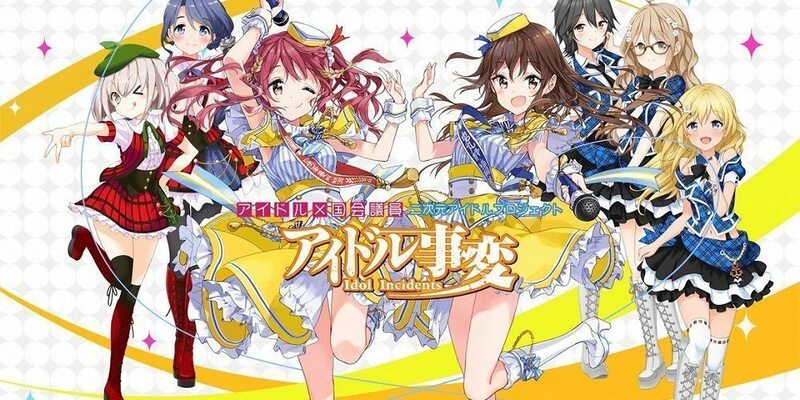 From these seven idol political parties, the idols who have become National Diet members and representatives for each prefecture will smash through the sense of stagnation covering Japan using the power of song and dance! They’ll bring back the smiling faces of the people, and wrap Japan in a glittering aura! !